Smoky Mountain Winery is Gatlinburg’s oldest winery, established in 1981, and the winner of numerous awards. 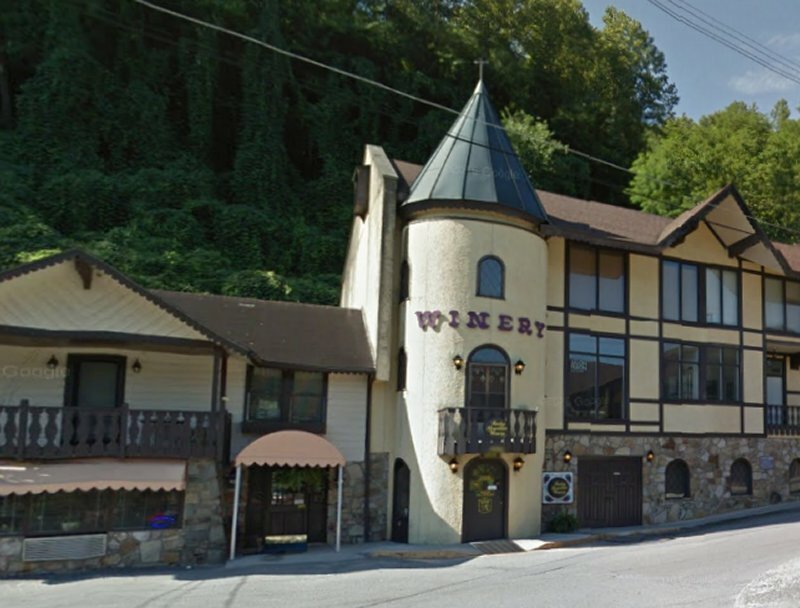 Located just off of East Parkway in Gatlinburg, TN, it’s a hidden gem and great favorite for many people who like to sample the varieties of wine that the area offers. Wine lovers of all experience levels will enjoy sampling the varieties of locally grown and produced vintages offered in Smoky Mountain Winery’s tasting room. The Winery no longer offers tours, but includes an adjacent gift shop where you can purchase wine accessories and bottles of your favorites from your tasting selection. The Winery stocks more than twenty locally produced vintages that showcase the best of Tennessee wine making. There’s something on hand for every palate, from rich and bold reds to crisp and aromatic Riesling. Prices are very reasonable, and some say they’re the best in the area. There’s a good variety of local favorites like sweet fruit wines. Winery specialties include peach, raspberry, and a very popular blackberry wine. Many people report that these are unlike any other, even pleasing to people who are difficult to match with wine. If the fruits sound a little too sweet for your liking, there’s also a selection of dry white wines, aged in American Oak. The spacious tasting room offers free samples in a fun atmosphere. The friendly and very knowledgeable staff are happy to make personalized recommendations for you. And if you brought your furry companion along with you to Gatlinburg, your dog is welcome in the tasting area, too. Visitors from all over the country enjoy the sweet flavors of Southern wines. Tennessee’s combination of higher mountain elevations and a humid climate is best matched by French hybrid grape varieties. Wines from East Tennessee tend to have a sweeter finish with a complex blend of light and fruity accents. Muscadine is a great Southern favorite, and Smoky Mountain Winery includes both a red and a white of their own creation in its wine list. Smoky Mountain Winery is located at 450 Cherry Street in Gatlinburg, TN. Take East Parkway from Light #3, and turn on Pine Lane. Open daily from 10 am. For more information, call 865-436-7551. And click here to see our many guides to the multiple Things To Do in Gatlinburg.